Corpor@te Facilities Services are delighted to announce that we have been awarded the cleaning contract at The Shires Shopping Centre – Trowbridge. 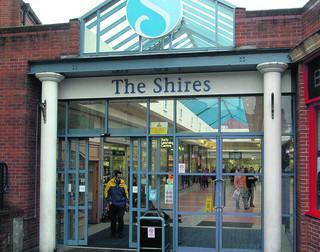 The Shires Shopping Centre is the largest Shopping destination within Trowbridge and conveniently located centrally within the town centre with approximately 6.25 million visitors per annum. The centre has 44 stores offering everything from national retailers such as Iceland, The Works and Peacocks to independent retailers such as barbers and provides shoppers with a multi storey car park with 1,000 spaces. As part of the contract award new machinery has been supplied that will improve the efficiency of the cleaning services and overall cleanliness of the centre, along with a tailored training programme for all of the cleaning operatives.